While some collect coins, spoons, stamps, I am an avid collector of quotes and books. Since I was 15, I have collected thousands of quotes. Two years ago, this avocation inspired me to create a quote book which I’m offering FREE to all my readers. 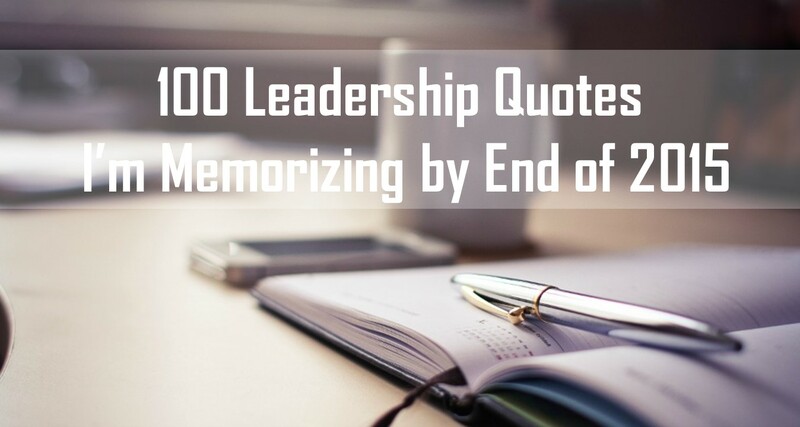 As a student of leadership, I hope you will use these quotes as a resource for future blog posts, speeches, and books. 28. The ultimate measure of a man is not where he stands in moments of comfort, but where he stands at times of challenge and controversy. — Martin Luther King, Jr. Question: Which leadership quote did I miss? What can I add to the list?